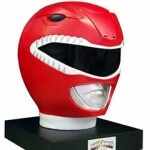 Power Rangers Legacy: The First 20 Years Price Confirmed- Orders Open September 10th! 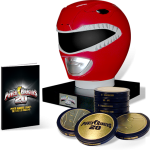 The massive “Power Rangers Legacy: The First 20 Years” DVD boxset at last has a price tag and release window!! This wonderful 98-disc Shout! Factory release will be available starting Tuesday, September 10th with orders opening at 1pm Eastern Standard Time. The price is a steep $650 USD but free shipping is available to continental US buyers (sadly the set will NOT be available for those outside the United States). The set is limited to only 2000 units, so any interested buyers should set their calendars for next Tuesday and check Shout! Factory’s main site when the time comes! Thanks to member FuryDiamond for the heads-up! Not only that, the following extras have been announced at this time! The Voice of a Ranger – Voice Director Scott Page-Pagter takes us for a spin of the ADR process with the cast of Power Rangers! You can pre-order the set from Amazon.com. The press release is within the discussion thread. 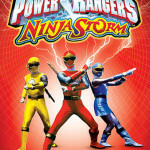 A very special thanks to Fury Diamond from RangerCrew.com for the heads up!